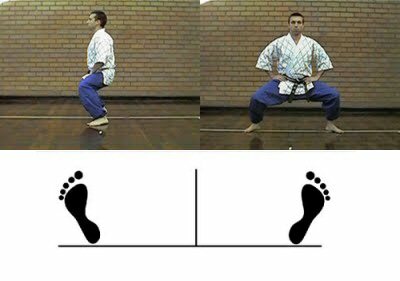 Some time ago I wrote the article "The role of traditional stances", however I have never attempted to describe these in any real detail (although I have previously discussed stances and stepping in stances in various articles, eg. 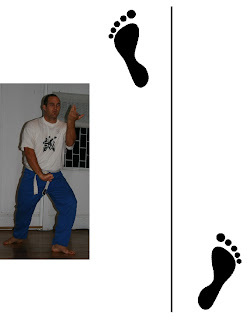 "Northern and southern kung fu, karate and the question of range"). Feet together, weight evenly distributed. Heels together, feet out at angles, weight evenly distributed. 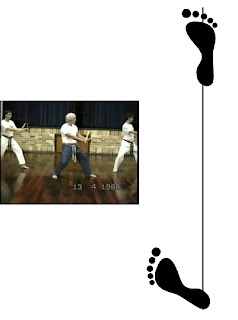 Feet parallel, shoulder width, weight evenly distributed. Feet angled outwards, shoulder width, weight evenly distributed. Feet shoulder width, weight 70% on front foot, 30% on back, front shin vertical, outside edge of front foot pointing forwards, back foot angled outwards. Feet shoulder width, weight evenly distributed, heel of front foot and toes of back foot on the same line, outside edge of back foot pointing forwards, front foot angled slightly inwards. 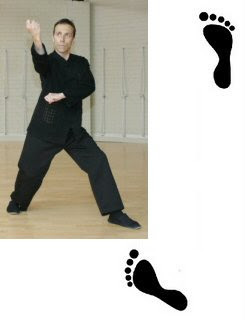 Sanchin in the Chinese arts"
Front foot in line with the middle of your back foot, one foot distance between the heel of your front foot and the line drawn by the toes of your back foot, weight 90% on back foot, 10% on front pointing forward, heel lifted, back foot angled outwards. 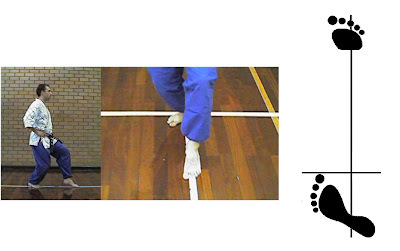 Feet angled outwards, 1½ to 2 shoulder widths, weight evenly distributed, shins vertical. Feet pointing forwards, 1½ to 2 shoulder widths, weight evenly distributed, knees oriented naturally in line with the feet. 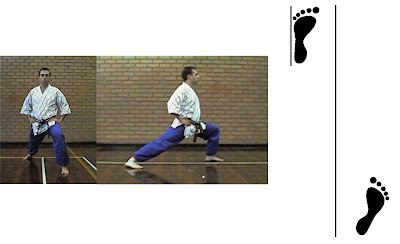 Front foot in line with the heel of the back foot, 1½ to 2 shoulder widths in length, weight distributed 60% on the back leg, 40% on the front. 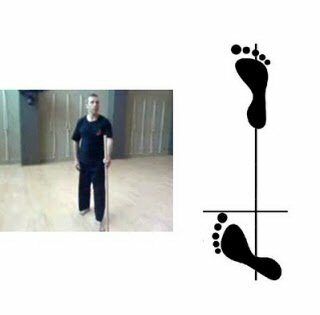 Front foot in line with the middle of your back foot, one foot distance between the heel of your front foot and the line drawn by the toes of your back foot, weight evenly distributed, front foot pointing forward, back foot angled outwards (a "lazy cat stance"). Oriented like a zenkutsu dachi except that the front foot is angled outwards. Feet are one fist distance apart, 1½ shoulder widths in length, weight distributed slightly to the back leg, front foot pointing forwards and the back foot angled outwards.